I have tried to avoid entering a Whole Foods for as long as I could, because I know myself, and that I would freak out 🙂 We ended up there yesterday morning for quality meat, and we ended up getting a few other things too: Hail Merry Macaroons, Organic Honeycrisp Apples, and two seasonal Lara Bar flavors! Not even kidding-the macaroons are to die for, made with organic almond flour and coconut oil (they’re big on coconut, YAY!). They have a lot of other options too: http://www.hailmerry.com/. This was the first time I’ve seen Organic Honeycrisp! Each Fall (even though it is record setting heat in San Diego right now, not feeling Fall) I wait for them to arrive, but I’d never seen them organic, and there they were, I was SO EXCITED. We bought 4, and they were $13, ouch! There were some that were the size of grapefruits, just huge. 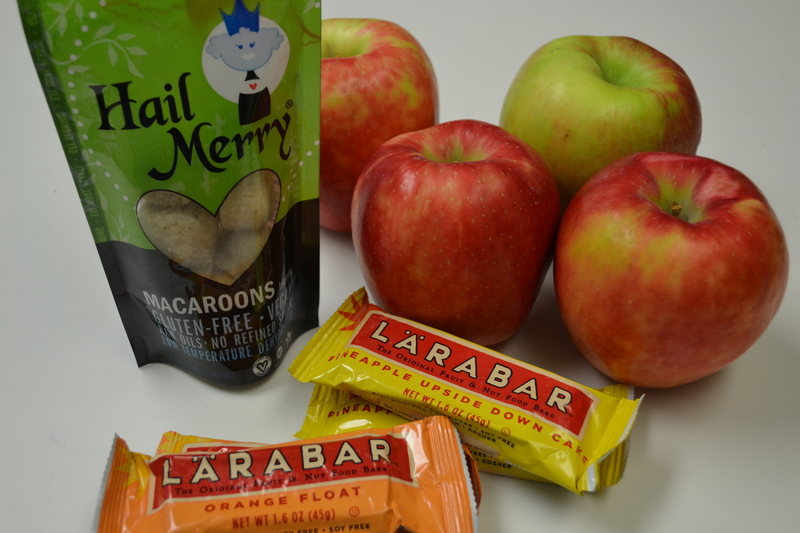 This entry was posted in Food and tagged Hail Merry, Lara Bar, Organic Honeycrisp, Paleo, Whole Foods by livinglikelinds. Bookmark the permalink. I’ve been eating at least one honeycrisp a day, LOVE THEM. The macaroons sound good too. Is there sugar in Lara bars? Must not be if you eat them. I could spend hours at Whole Foods but never have enough time. One of these days I’ll go and spend some time to look and find more yummy treats. Need some for dad! Each Lara Bar has between 3-6 ingredients, and no added sugar. It’s only dates, nuts, fruit, coconut oil, etc. They come in so many flavors, and even though they “seem” like they’re high in calories, it’s real calories, so has never caused a problem for me. Also, the long I go without refined sugar in my body, the sweeter real things taste, so for an afternoon snack, I’ll have a Lara Bar (think blueberry muffin, tropical fruit tart, coconut cream pie, ginger snap! ), completely satisfying. I, too, tried boycotting Whole Foods (mostly because my grocery bill is already ridiculous). I caved a few weeks ago and found a great stock-up price on grass fed beef. So I take back anything bad I ever said/thought about Whole Paycheck 🙂 Next time you’re in Iowa hit up the new Hy-Vee in Urbandale — it’s their best health food section yet.